KAABOO has created the newest destination event for 2019, a multi-sensory experience in the Cayman Islands. 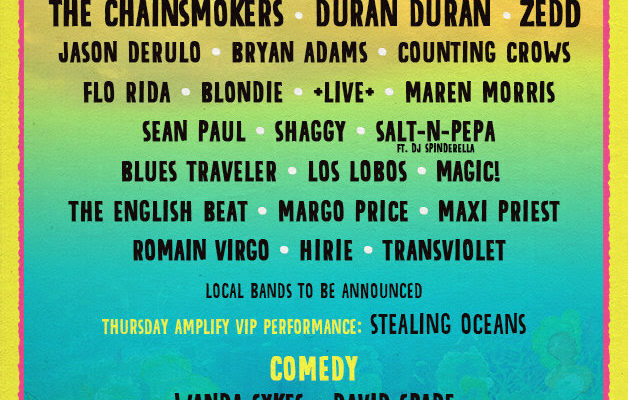 KAABOO Cayman, set to take place February 15 + 16, 2019, welcomes The Chainsmokers and Duran Duran as headliners for its inaugural event overlooking the Caribbean Sea. 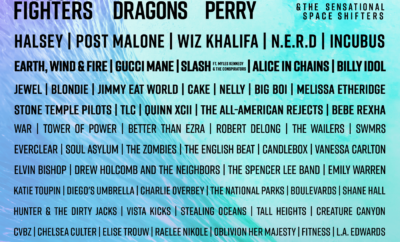 Russian-German producer and DJ ZEDD, Pop-RnB platinum-selling artist Jason Derulo, Canadian super-star Bryan Adams and American rock band Counting Crows, join a multi-generational lineup including Flo Rida, Blondie, +Live+, Maren Morris, Sean Paul, Shaggy, Salt-N-Pepa ft DJ Spinderella, Blues Traveler, Los Lobos, and many more. Comic canons Wanda Sykes, David Spade, Jenny Slate, Darrell Hammond and more will headline KAABOO’s HUMOR ME stage. In addition to bucket list multi-generational music headliners and comedians, all guests can expect mouth watering culinary delicacies at PALATE; stunning live murals and exhibits in ARTWORK; massages, hot shaves, and spa services in INDULGENCES; and beach vibes and ocean access at the BASK Day/Night Club adjacent to Seven Mile Beach (18+). A limited number of advance price passes go on sale today at 7:30 AM CST at https://www.kaaboocayman.com. THATCH (General Admission) passes are currently $300 US dollars ($240 Cayman dollars), while SILVER THATCH (VIP) passes are currently at $1062.50 US dollars ($850 Cayman dollars). Additional VIP packages including ROYAL PALM $3425 US dollars ($2740 Cayman dollars) are also available. Prices will increase once this allotment of advance price passes are sold out. At KAABOO, all guests receive a multi-faceted experience with access to: the indoor and seated HUMOR ME comedy club; an on-site Contemporary Art exhibit in the ARTWORK area plus large scale outdoor murals and installations on display; PALATE gourmet food and craft libation offerings; the relaxation oasis at INDULGENCES; and the BASK Beach Club. SILVER THATCH (VIP) passes include additional access to AMPLIFY zones which provide premier stage viewing areas, access to the Thursday Night AMPLIFY-only preview party, and more. Next Story → Years & Years Release “If You’re Over Me” Music Video and Album Details! Princess Diaries 3 CAN BE Happening!